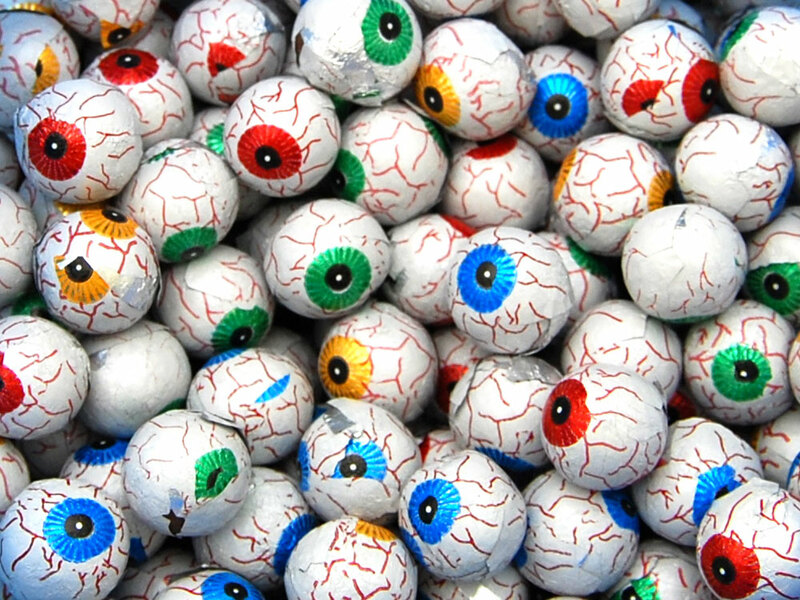 These eyeballs made from milk chocolate balls wrapped in foil are great as a spooky treat. 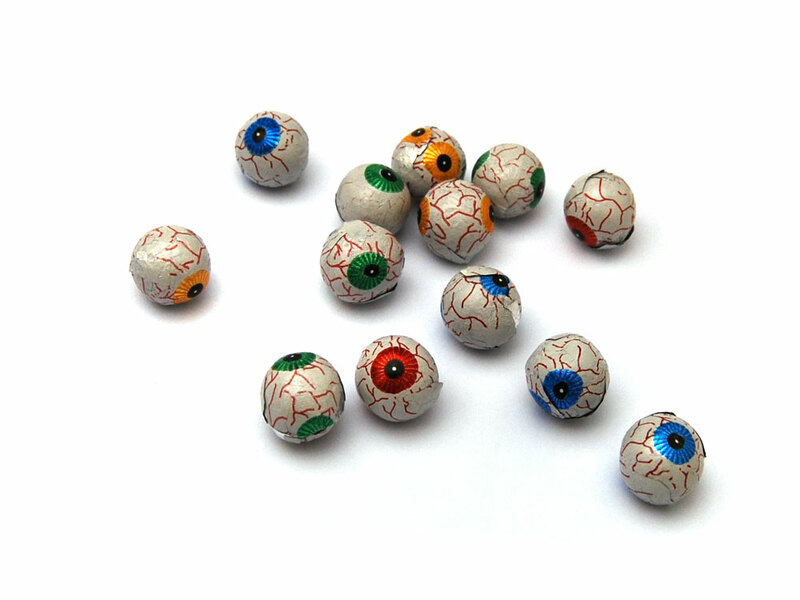 Scare trick or treaters on Halloween eve or disgust you nan with a bowl full. Milk Chocolate (100%), Sugar, Cocoa Butter, Skimmed Milk Powder, Cocoa Mass, Whey Powder (Milk), Emulsifier (Soya Lecithin), Natural Flavouring, Cocoa Solids (25%), Milk Solids (14%). Allergen Advice: Highlighted Bold in Ingredients list. May contain traces of Milk, Wheat and Soya. Not suitable for nut and peanut allergy suffers due to manufacturing methods.